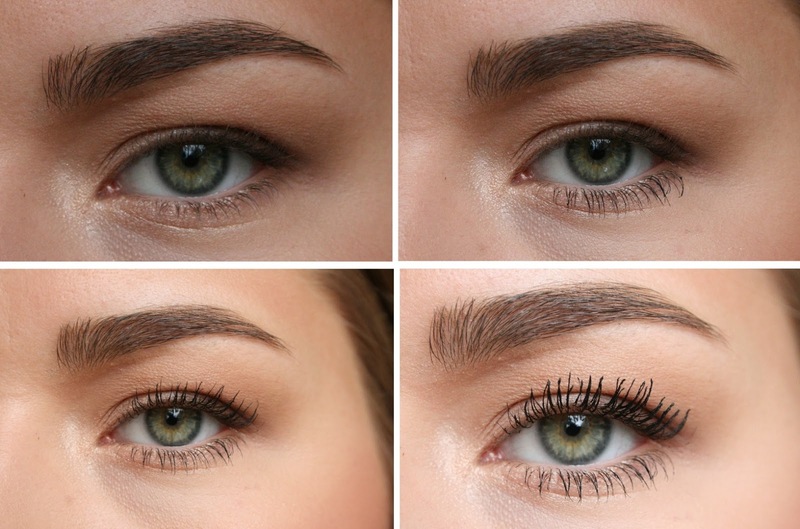 Your eyelashes can make a huge difference in the way your eyes look. I have a few tips and tricks up my sleeve to get the most out of your own eyelashes, so keep on reading. If you have stick straight eyelashes, use an eyelash curler to get a nice curve to your eyelashes. This is going to make them look a bit longer too. To make your eyelashes look thicker at the roots, apply a bit of pencil eyeliner to the outer half of your top lash line. You always want to apply a coat of mascara to your lower lashes first, to avoid the mascara from getting all over your lids. I use one of my favorite volumizing mascaras the Maybelline The Falsies Flared, because this gives a nice thickness to the eyelashes. On some people wearing mascara on the lower lashes can look a little off. If you are one of those women, you probably already know, and if so just skip this step. Apply a normal coat of the same mascara as before on you upper lashes. Now let it dry slightly, I normally do my brows while I let the first coat dry. Grab a lengthening mascara, I use the Loréal Telescopic Carbon Black, this mascara is amazing at separating and lengthening your eyelashes. 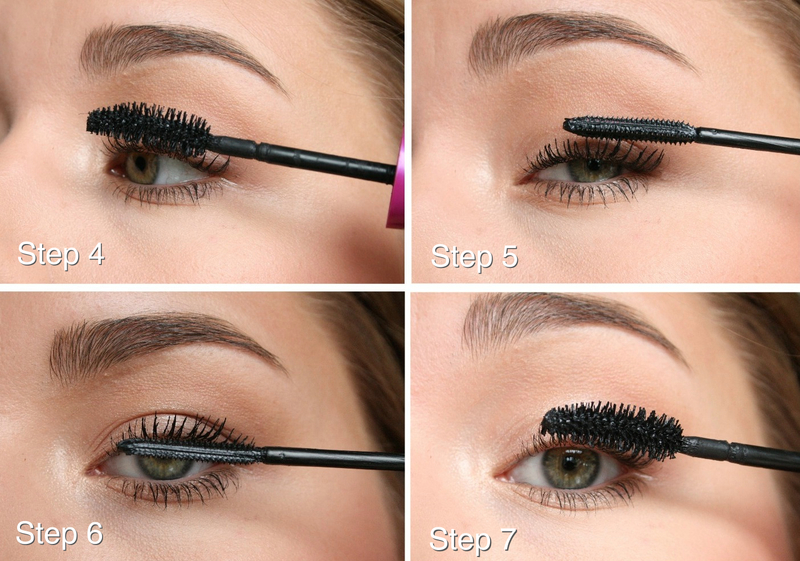 Here is the important step for making your eyelashes look long and thick. Apply the mascara behind the lashes! Look at the second picture above, you are going to stick your brush behind your lashes and get as close to the roots as possible. Now you want to roll the brush inwards, while dragging it up to the tip of your lashes, that way your lashes get even more curled. While the second coat is still wet, you want to coat the front of your lashes with the same lengthening mascara. Coat it like normal and make sure there are no clumps. You can buy what's called an eyelash comb, if your eyelashes tend to clump. This comb is made of metal and easily brushes out any clumps. Then let it dry. If you are not yet satisfied with the length and thickness, apply a third coat, concentrating on the ends of your eyelashes. Remember the lash comb again! When your eyelashes are clump-free, you are done and should now have beautiful, thick and voluminous eyelashes! It's actually pretty simple and doesn't take very long. It's just important to keep the clumps away, because when you apply a lot of coats, your eyelashes tend to clump together and we don't want our eyelashes to look creepy and spidery.